Microsoft Bing changes its homepage image daily with amazing photography from Getty Images and other top photographers around the globe. Microsoft allows you to download the Bing images for free as well as use the images on your system. Here’s how to configure Windows 10 to download and set your Lock Screen, Login Screen, and Background to the Daily Bing image. 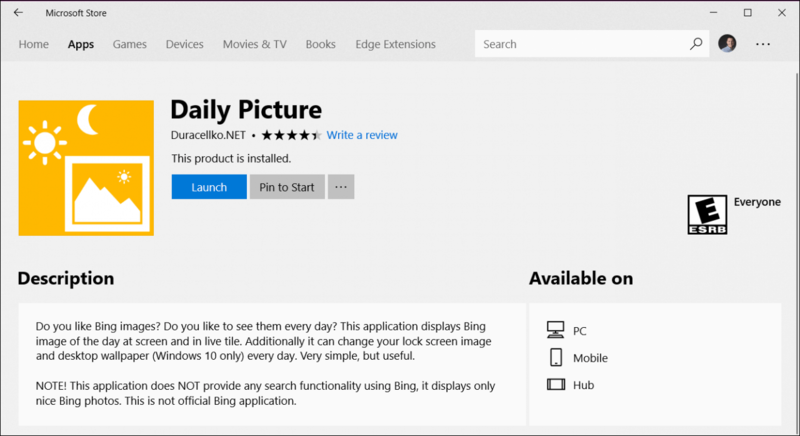 Windows 10 doesn’t have this feature native yet, so we’re going to use a free app from the Microsoft Store called Daily Picture. Go to Start and launch the Windows Store. Search for and download the app – Daily Picture. 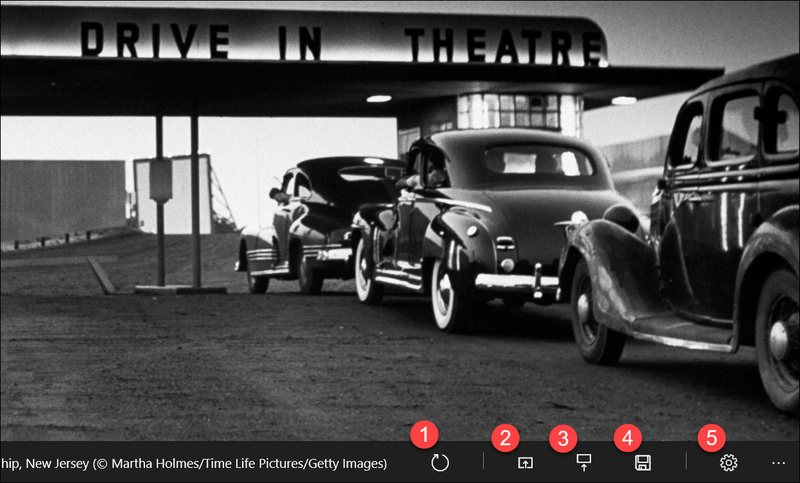 Once installed, the app will download the last weeks of images from Bing. To configure it, hit the gear icon. Just flip the switch for what you want. In my case, I set the Bing images as my Lock screen and Desktop Wallpaper. The app also has a few more options from the main screen. 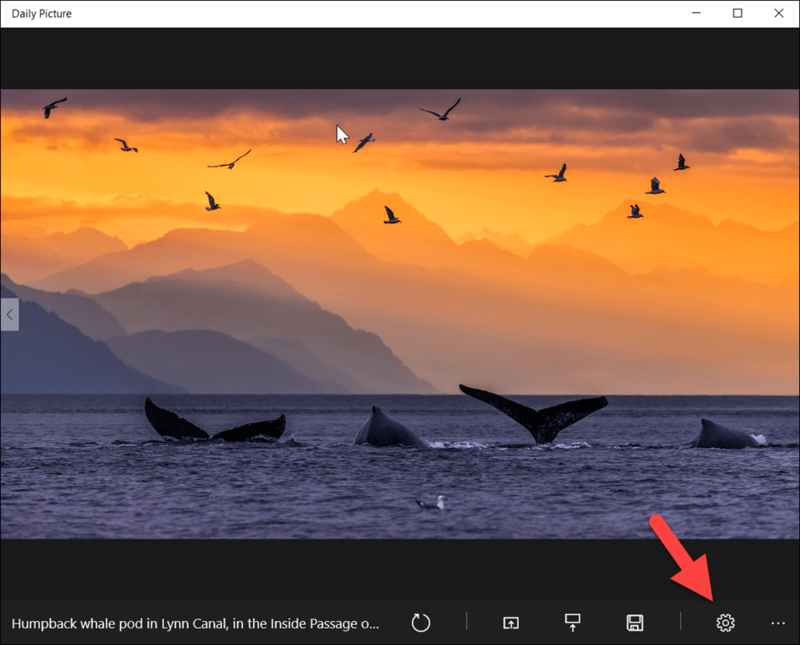 Refresh image with the most recent image from Bing. 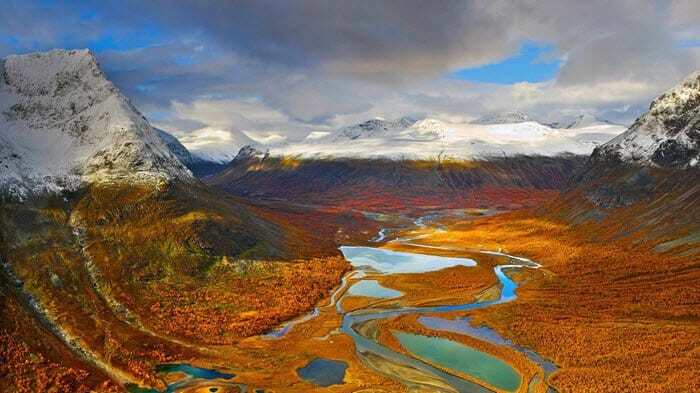 Set current Bing image to Background. Save current Bing image to hard drive. LEFT or RIGHT Arrow to scroll through previous days images from Bing. I’ve been using the app for several years and I’ve not had any issues with it throughout the various versions of Windows 10. It just works and it’s simple and, I just love the new images that arrive every day. Why this is not an option in Windows 10 to begin with, like windows 10 mobile, is beyond me. I love the daily Bing pictures at the sign in screen when I wake up my computer. However, there is nothing to tell me where the picture was taken and who the photographer was. How do I easily find out this information. I wish microsoft would put the information with the picture. It would be nice to know. The pictures are really stunningly beautiful. I love daily images too! :) by the way are they licenced images or they have free licence? Milan, I’m pretty sure they are licensed images. Pretty cool, and SOOO simple. This should have been a no-brainer for the R&D @ Microsoft! And to confirm, yes, many of the images are licensed but “free use doctrine” comes into play, yaddayadda ad-infinitum. If you don’t use or embed the image in a commercial venture of any kind or take credit for that image then you’re allowed to enjoy the image (i.e. save, download, etc. ), which is what the photographer ultimately wants anyway if they posted it publicly. And if they ask you to remove it regardless, do so. After all, it IS theirs. Getting it now. Been edgy about these things in past but review seems trusty. Thanks, certain breaks up the momo background, but waited until really knew where most used icons are since some backs blur the icons.